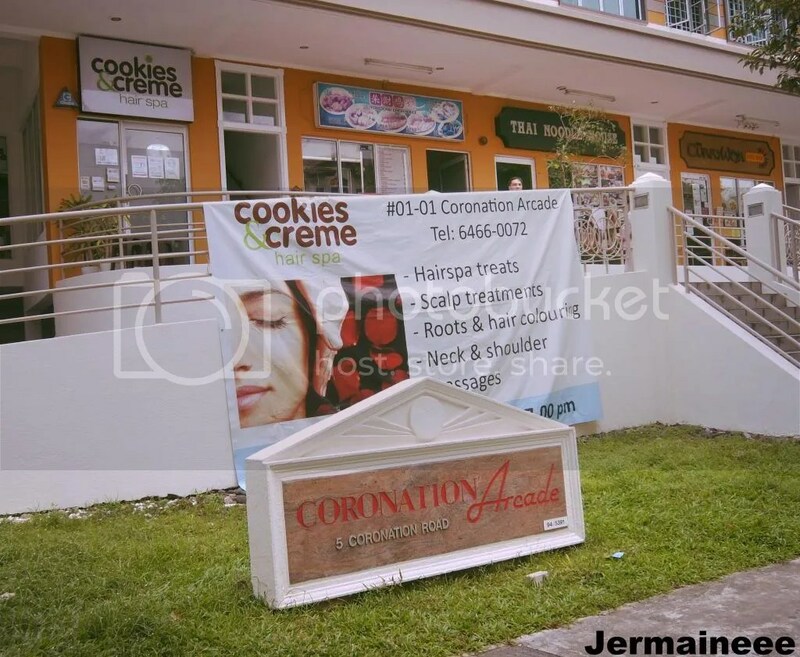 Located along Coronation Arcade (nearest MRT will be Botanic Garden), Cookies & Cream Hair Spa is a quirky hair spa with a ‘yummy’ name.. 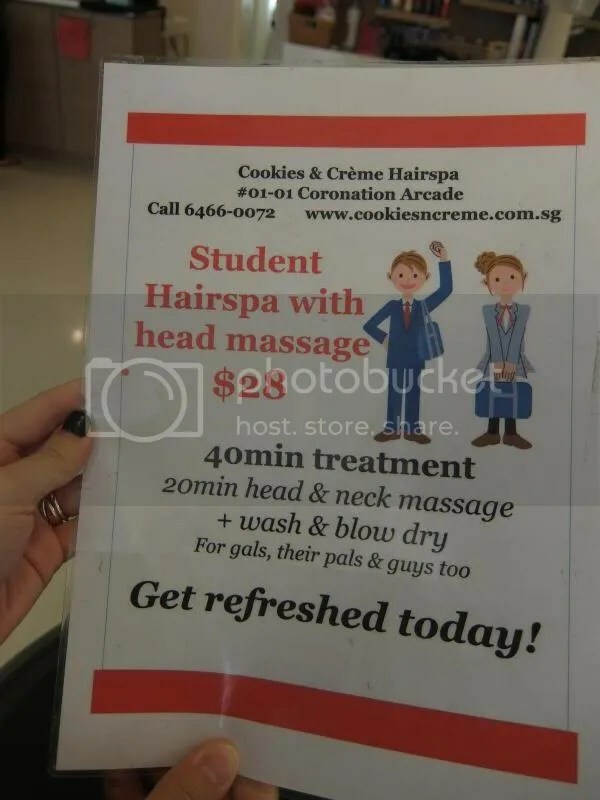 Since its opening three years ago, Cookies & Creme hair spa has been concocting interesting treatments for its customers. 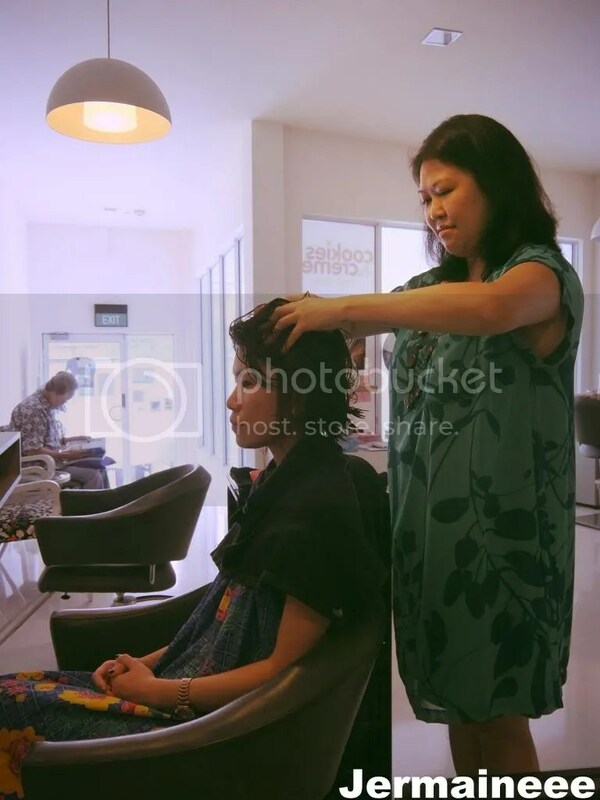 The hair spa specializes in scalp care and hair spa treatments, together with head, neck and shoulder massages. 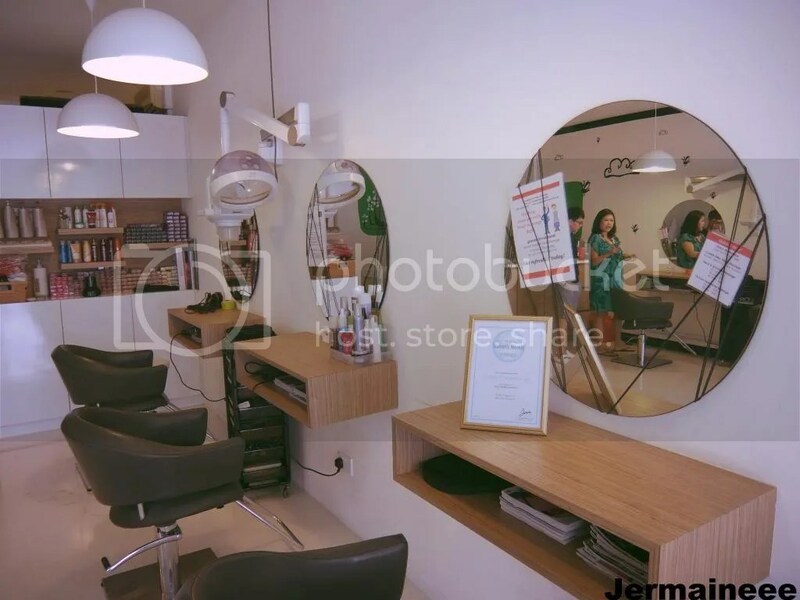 If you also require some hair dressing services, Cookies & Cream will also be able to deliver cuts, colouring, perming and styling services. 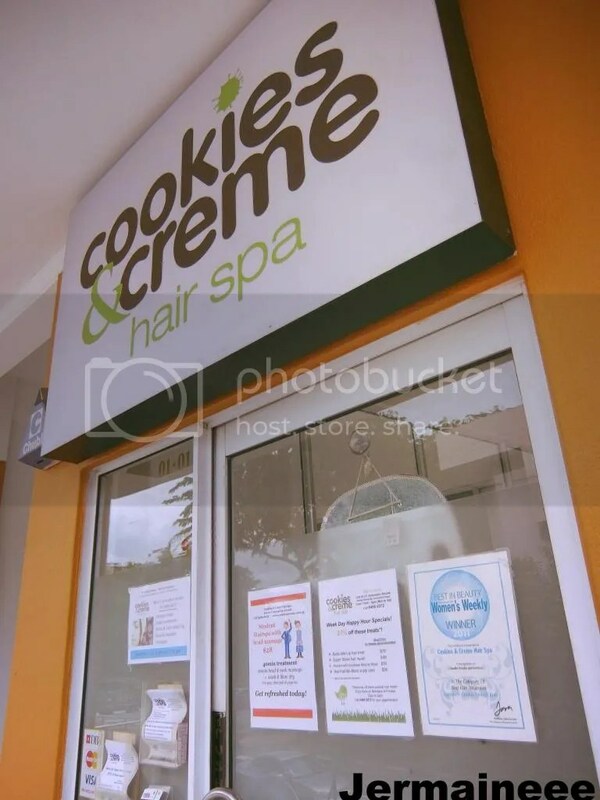 Cookies & Creme hair spa menu of services include Hair spa with massages, Hair conditioning treatments, Hair repair treatments, Scalp treatments (oily scalp, dandruff and sensitive), Hair fall treatments and Hairdressing treatments (cuts, colouring, perming and styling). 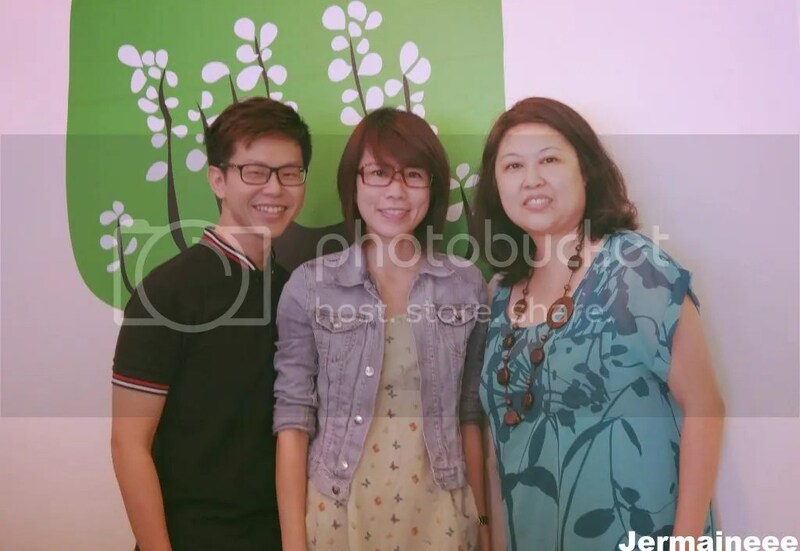 Upon entering the bright and cheery-looking shop, we were instantly welcomed by the friendly owner Jennifer Tan. While i was busy snapping some pictures, Jennifer kept my hubby entertained and answering his many questions! 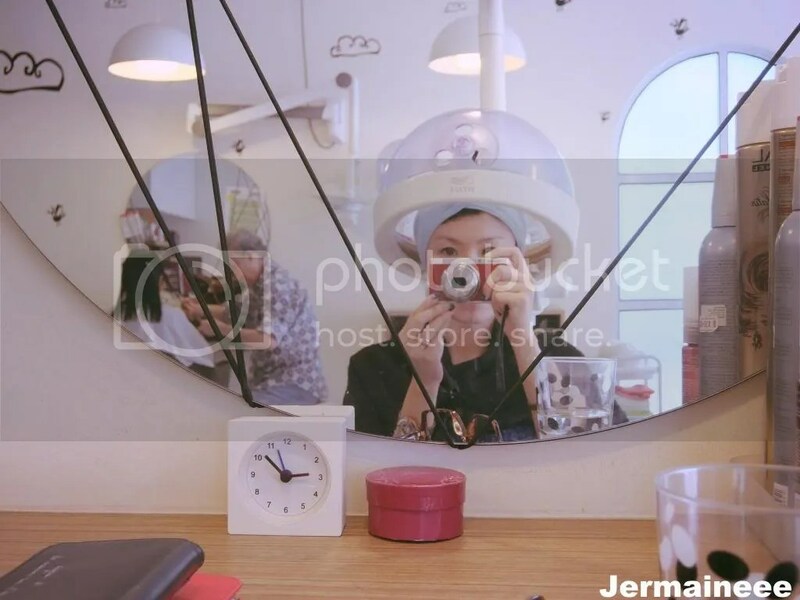 I love how people oriented Jennifer and that she wants customers to relax & enjoy the best services. 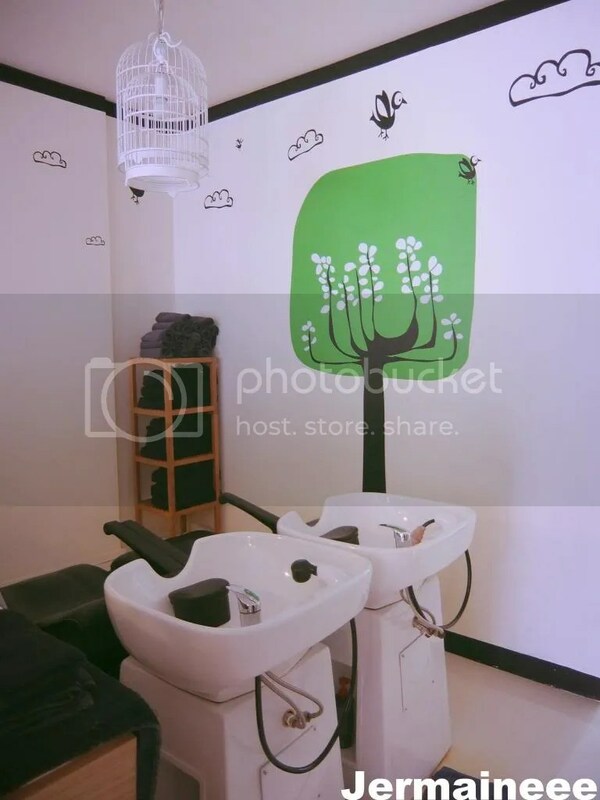 The salon is very clean, spacious with beautiful & comfortable interior furnishing and decorations. 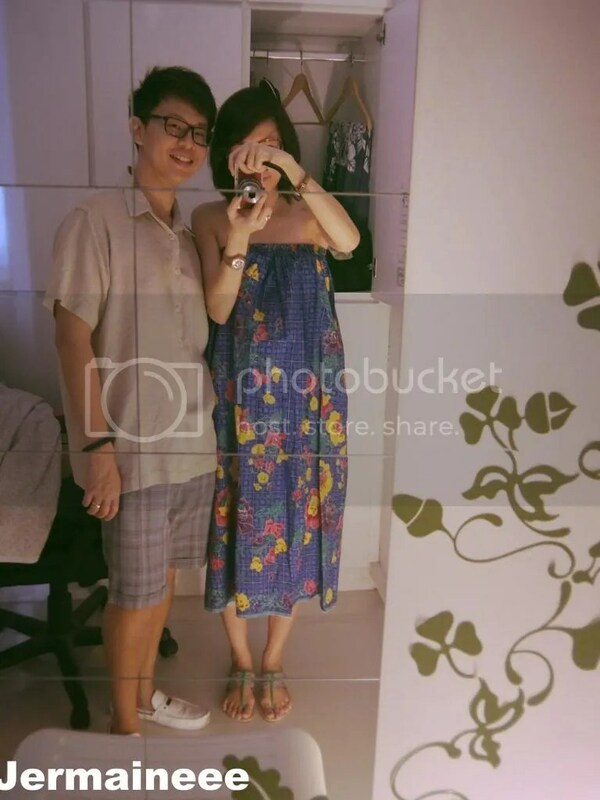 Equipped with the warm hospitality from Jennifer, you will be able to unwind completely and enjoy the services fully. With its extensive menu of hair spa treatments, we were pretty much spoil for choice and cannot decide which Spa treatment to indulge in.. After checking on our hair concern and needs (mine is dry hair ends while Hubby wants something with a nice shoulder massage), Jennifer recommended the signature treatment – Signature Cookie Dough Rub. This star treatment, includes hair conditioning treatment plus relaxing head, neck and shoulder massage, rolled into one treat.. This 2-in-1 treatment will be great for hair conditioning/repair and help to relax tense muscles. 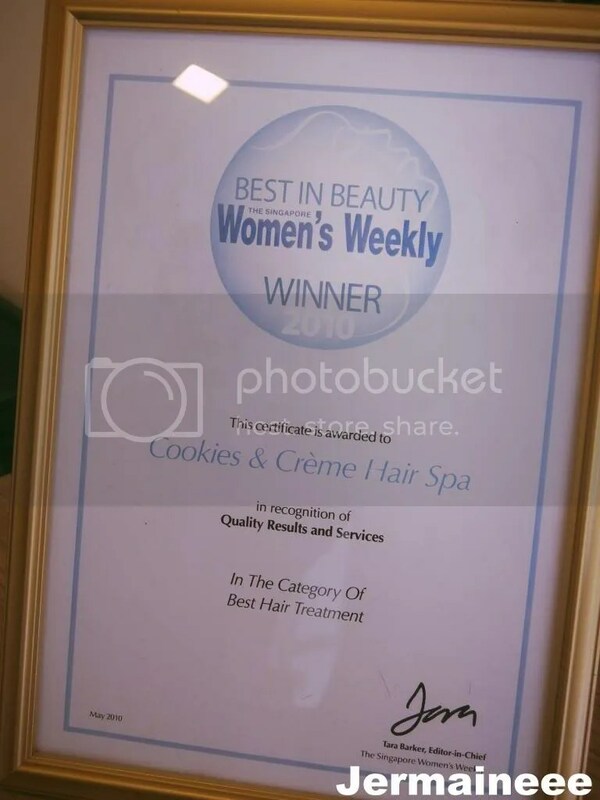 The Signature Cookie Dough Rub has been popular with customers and has won the “Best Hair Treatment” award in Singapore Women’s Weekly magazine’s annual Best in Beauty & Spa Awards for two consecutive years from 2010. 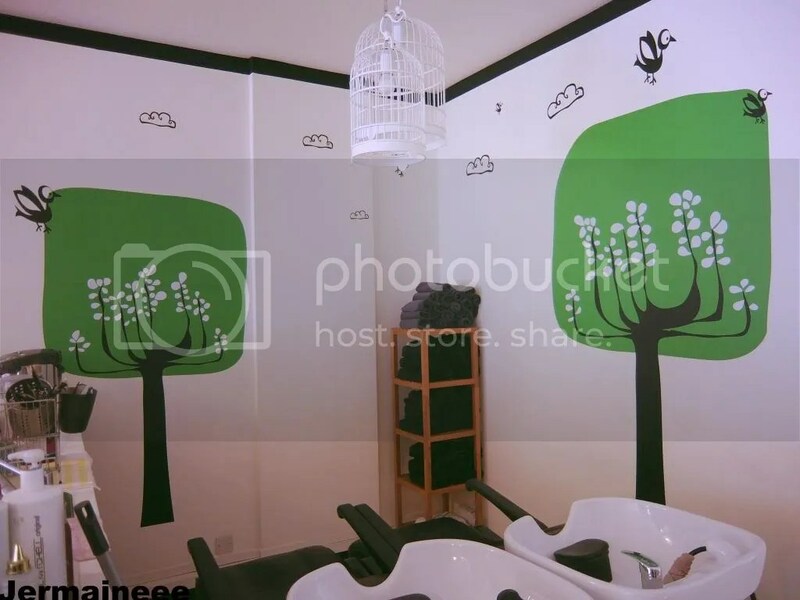 Cookies & Creme hair spa also gives customers the flexibility of choosing whether to just focus on their hair or get the full works. 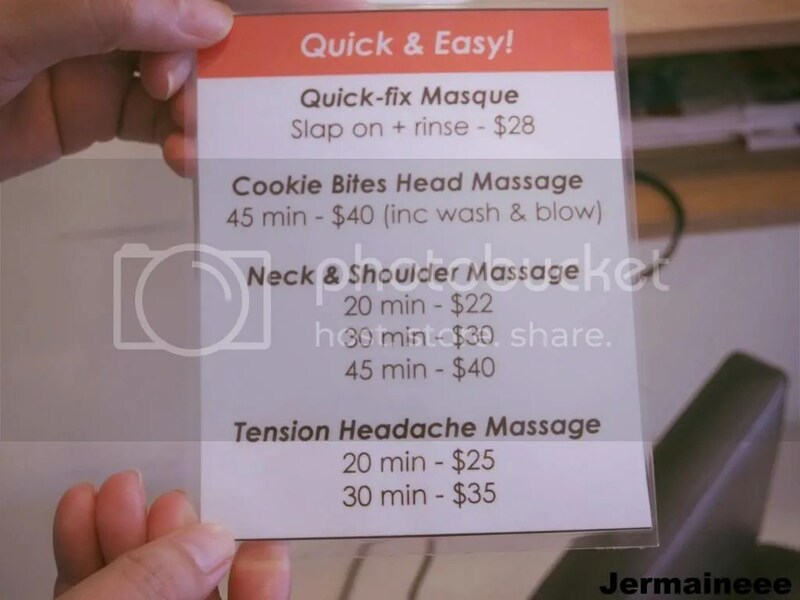 If the treatments you want does not include the shoulder / neck / head massage, you can request for a 15 to 30 minute massage session separately. To get things started, we were ushered to a changing area and to lock up our belongings. Because there’s shoulder / neck massage, we had to change into sarongs (for ladies) and cotton shirt (for the guys) as aromatic oils will be used. Firstly, she rinsed my hair with lukewarm water and checked if the temperature was ok for me. To prevent entangled hair ends, she thoroughly separated my hair strands before rubbing her hands with shampoo and applied it to my scalp. After which, she worked the shampoo gently downwards while massaging my scalp gently. This is a big plus point for me as i always dislike to when people use their finger nails on my scalp while doing massaging (Not only it hurts but it will also upset my scalp). After rinsing away the shampoo, she applied an ample amount of conditioner from the middle to the end of my hair. After leaving the conditioner on for 1-2 mins, she rinsed my hair thoroughly in cold water as this will seal in moisture and prevent scalp from turning oily fast. 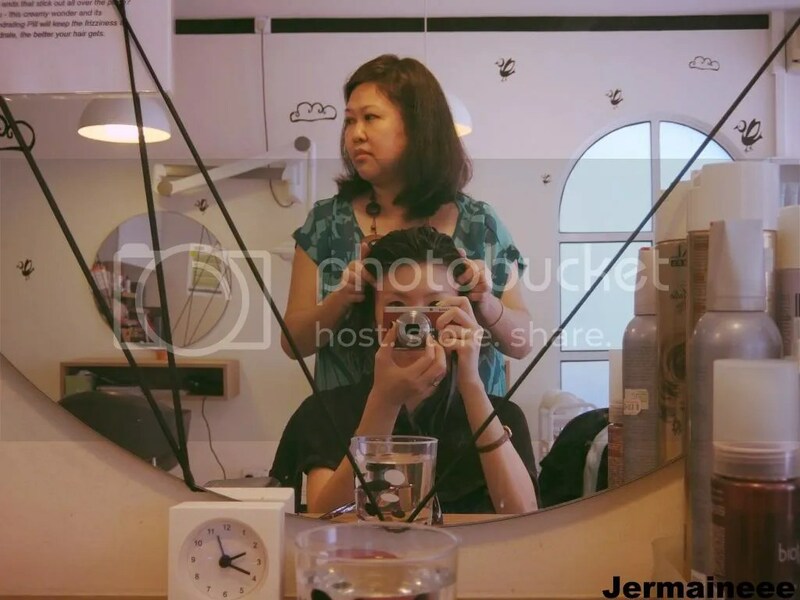 After drying our hair gently with a soft towel, both Jennifer and her staff applied a generous amount of hair cream mask onto our hair. Jennifer told us that the conditioning cream is made up of aloe vera and natural ingredients and is good for treating dry ends. The next 15 minutes was pure relaxation as our scalp were gently massaged to knead away any tension or headaches. After 15 mins of hair pampering, our neck and shoulder were given a good massage using aromatic oils. 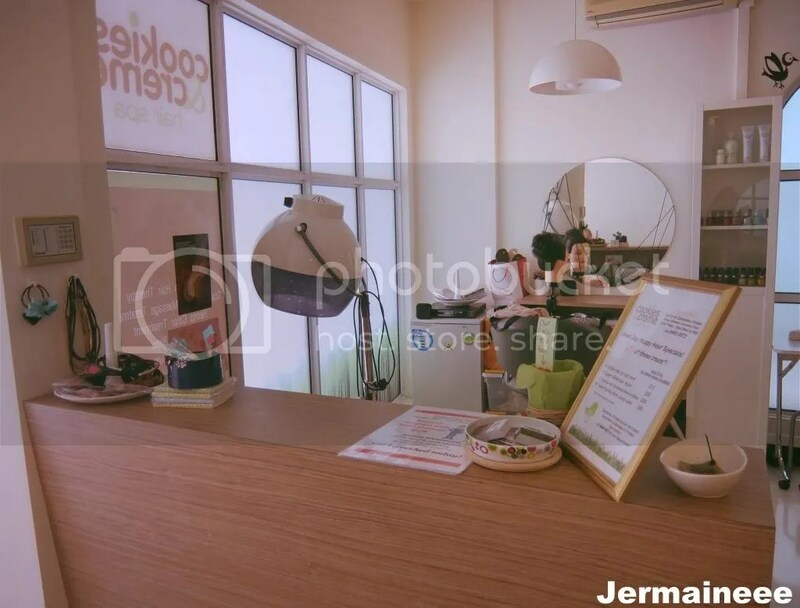 Despite the fact that i dislike massage as it is often ticklish and painful, Jenniferwas gentle yet effective at loosening my tight muscles.. It was so comfortable that my hubby fell asleep. 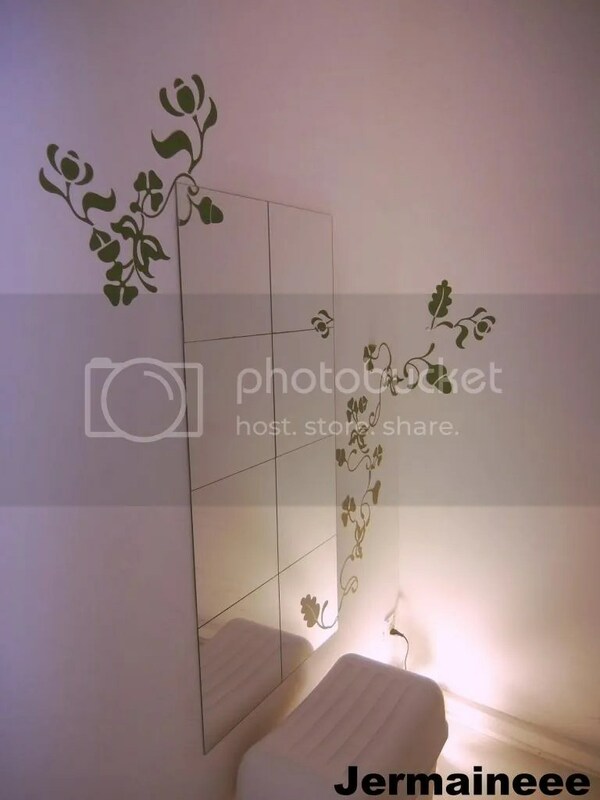 As the services are highly flexible, you can opt for a longer sessions of 90 minutes at $79 to better pamper yourself. Once done, a hot towel were wrapped around our shoulder to ‘soak-up’ excessive oil so that you will not walk out of the salon with oily sensation! To further condition dry hair ends and to ensure maximum effectiveness, my tresses were steamed for 10 mins.. Jennifer also did a check to ensure that the steam wasn’t too hot for me. After a final wash and blow dry and i’m good to go.. 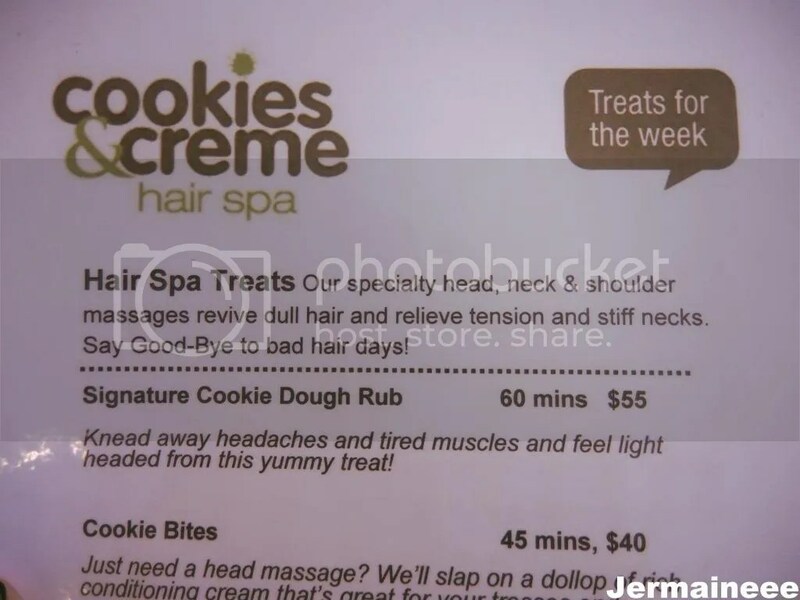 Cookies Bites hair spa is a 45 minute treat at just $40 which is evolved from Signature Cookie Dough Rub. 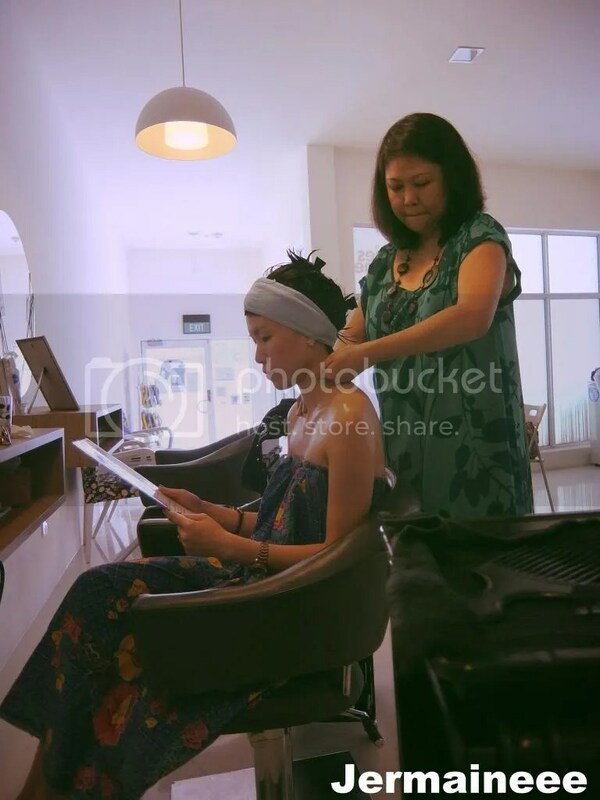 All thanks to one of their regular customers, who wanted just a pure head and neck massage without having to change into their in-house “sarong” wraps. This treatment will give you a good and re-energizing head massage, fuss-free! There’s nothing murky about this treatment except for the deep shade of moss-green of the mineral mask. Chock-a-block with deep-sea minerals, this hair mask treat packs a mighty punch as it restores the shine to your tresses. There is less scalp massaging with this treat as it is designed to fix damaged or lacklustre hair. 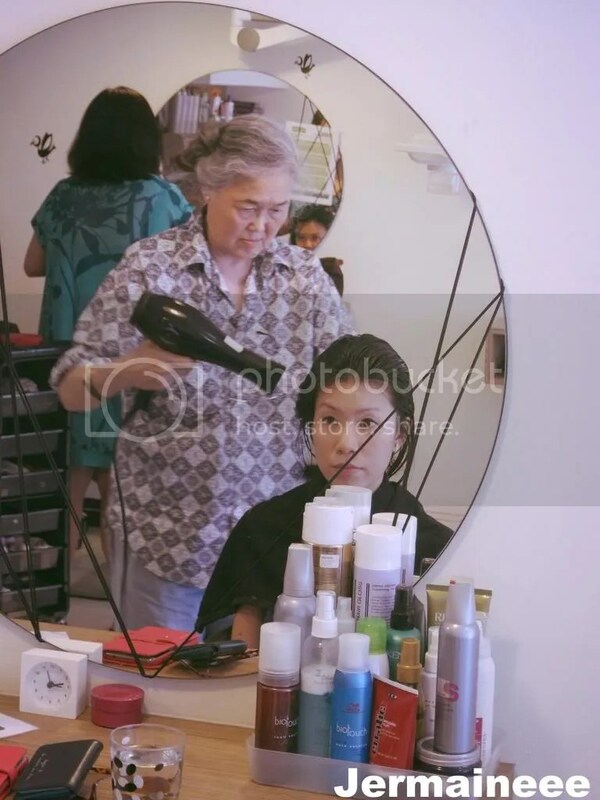 The steaming process is also longer, ranging from 20-30 minutes, depending on a customer’s hair issues. This under-the-sea delight is a favourite with customers who need the repair and regular maintenance, without burning a hole in their pockets. Many ladies face hair fall issues at some point in their lives. Whether it’s triggered by hormonal changes, dietary or lifestyle choices, they will experience a fistful of loose strands. If properly managed, this need not be an alarming problem. And we usually advise customers to do preventive treatments before it becomes a full-blown problem. The anti-aging treatment requires regular maintenance. Customers see improvements in their scalp health after 2-3 regular sessions. We start the treatment with a deep cleanse shampoo to remove product build-up and oil and follow on with the hair fall control shampoo. This second shampoo helps to strengthen your hair’s roots. A serum is added and left on for about 10 minutes. We usually provide a gentle massage to help better penetration of the serum. The final steps are to add a hair growth ampoule to stimulate new hair growth and a foamy emulsion to seal in the goodness. Usually after a trial, the hair appears fuller but this is not a magical treatment which solves all your hair fall issues at once and 2 or more sessions are needed to see a fuller effect. 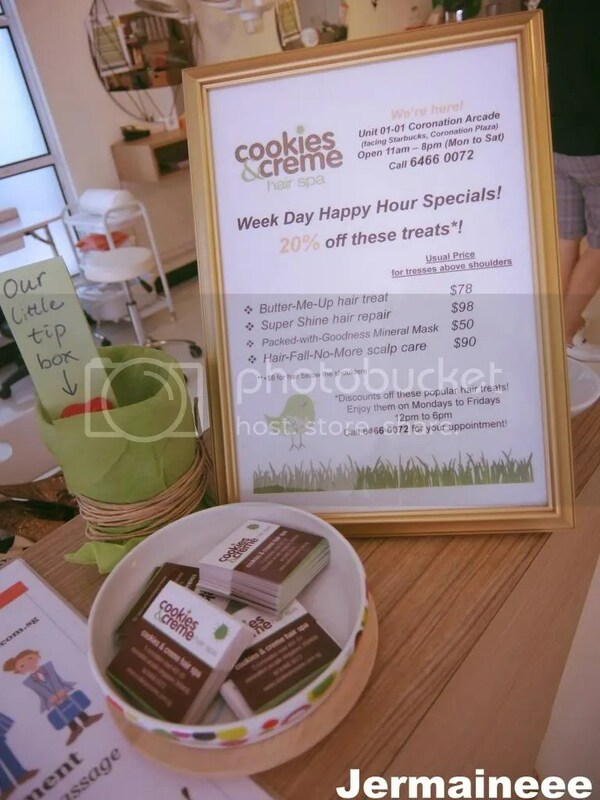 Before i go, do check out some of the promotions that Cookies & Creme Hair Spa is currently having… You can also click on this link to see all the services that Cookies & Creme Hair Spa has to offer. You can now enjoy the 60 mins Signature Cookie Dough Rub @ $40 (U.P. 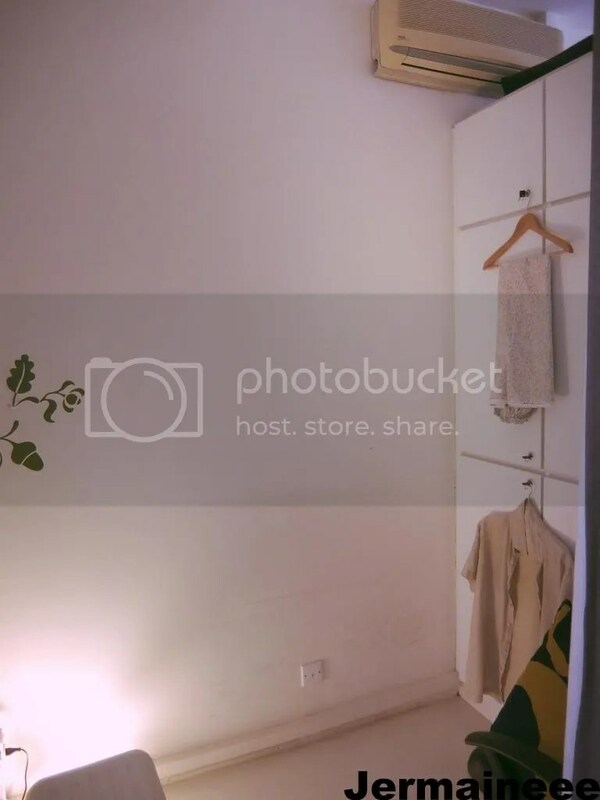 $60). 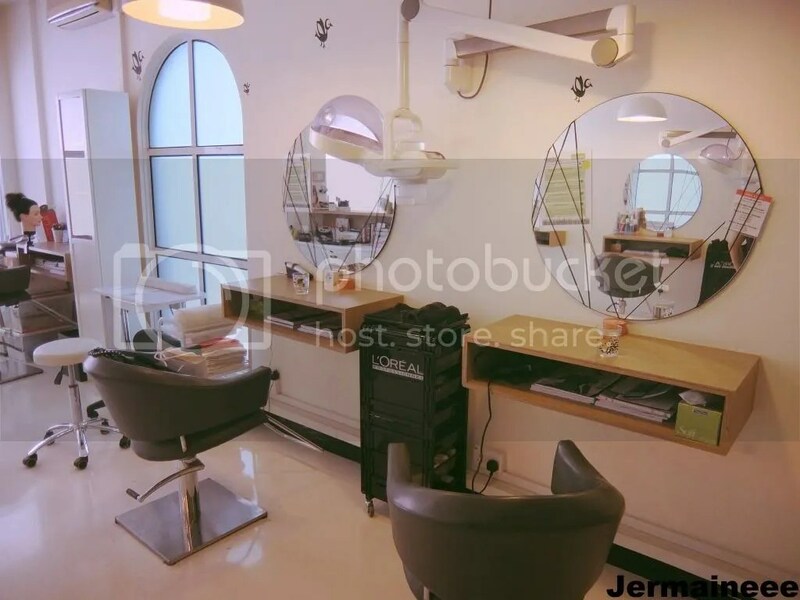 Simply call them at 6466-0072 and quote my blog (Jermaineee) when you are making your appointment. Do note that this offer is valid for first time customers. 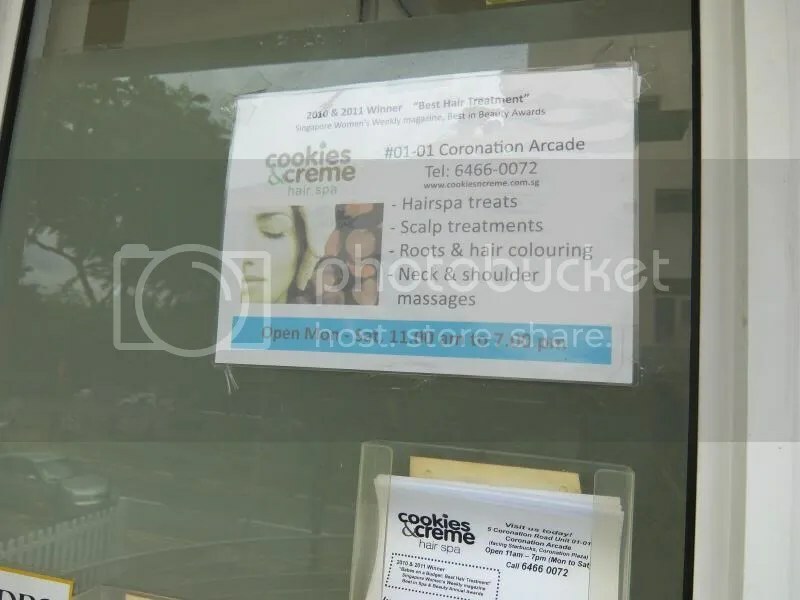 Do check out http://www.cookiesncreme.com.sg for more information on the services available and i hope you will love the treatment as much as we do! (Giveaway) Clearer, brighter and better skin with Shiro-Wa!